When it was first announced, a shared universe for rebooted takes on Universal’s classic monsters sounded like it could be fun if all went well. Things did not go well. The shared universe, which was dubbed the Dark Universe, opened with 2017’s The Mummy starring Tom Cruise. Instead of focusing on the horror, the focus was more on making a CGI-heavy action blockbuster. The movie cost $125 million to produce, and made only $80 million at the domestic box office. A nearly $330 million showing in foreign markets helped to recoup some of those costs, but the Dark Universe was in serious jeopardy of dropping dead a few steps from the starting line. Now comes word that Universal has indeed killed off the Dark Universe, and will instead shift their focus to rebooting their monsters as individual projects with no ties to a connected universe and, best of all, rooted in horror with no restrictions on the budget, the rating, or the tone. Things have not gone well early on for Universal’s much-hyped shared world featuring their classic monsters, called the Dark Universe. Their first movie, The Mummy, was released earlier this year. Instead of focusing on what made Universal’s monster movies so great, the horror and tone, they instead opted for an action-heavy, CGI-tainted style. The movie quickly became a financial and critical failure. To make matters worse, the talent Universal had hired to manage this ambitious endeavor began departing, and the future of the Dark Universe was already a big question mark. But it’s still early. Universal still has time to right the ship if they so choose. And one name fans of the original monster movies believe would be perfect to help steer things away from guaranteed death is none other than Guillermo del Toro (The Devil’s Backbone, Pan’s Labyrinth, Crimson Peak). As it turns out, however, Universal already offered del Toro the chance to work on their monster universe, and he turned it down. Find a quote from del Toro and a video below. Let’s face it, Universal’s Dark Universe was a very ambitious plan that no one really was on board for. Though contemporary takes on the classic Universal monsters sounded like a good idea on the surface, the results were anything but that. It all started with The Mummy, the Tom Cruise-starring vehicle that was supposed to launch the universe. The film performed well-below expectations, and what followed made things even worse for the potential universe. Bride of Frankenstein, directed by Bill Condon and starring Javier Bardem as the Monster and possibly Angelina Jolie as the title character, had been put on hold. Reports stated that it was to fix some of the script issues. While that may be true, it was a sign that things weren’t going well. And this latest bit may be the final nail in the coffin. According to a new report, the Dark Universe may be dead as key figures like Alex Kurtzman and Chris Morgan are now leaving it behind, forcing Universal to rethink the interconnected monster world that they are creating. More on the story below. This Summer, Universal released The Mummy, the first film in their new Dark Universe. Similar to that of the Marvel Cinematic Universe and the DC Extended Universe, the Dark Universe would have re-envisioned Universal’s famous classic movie monsters with a modern day twist. The idea sounded promising, especially when it touted a stellar cast like Tom Cruise and Javier Bardem, and it seemed like it had all the makings of a success. But The Mummy was panned by critics and was a box office bomb, leaving many to question if there was any need to explore a Dark Universe or kick it off with a reboot of a film so soon. So, at least for now, Universal and director Bill Condon have decided to hit the pause button on what was to be the next installment, Bride Of Frankenstein. More on the story below. Universal’s Dark Universe will reintroduce those classic Universal Monster films that terrified us as kids to a younger generation of audiences who might not be familiar with them. In this world of gods and monsters, the shadowy organization Prodigium works hard to find, examine, and contain these evil monsters. With Alex Kurtzman’s The Mummy opening in theaters this weekend, the film opens the door to an all new terrifying universe where those same gods and monsters that used to scare us now exist and live amongst us today. In The Mummy, the first Dark Universe installment, Annabelle Wallis plays Jenny, an archeologist who uses two soldiers of fortune, Nick (Tom Cruise) and Vail (Jake Johnson), to find an ancient sarcophagus that has sealed away one of the most powerful evils on earth, Princess Ahmanet (Sofia Boutella). But Nick’s reckless behavior unleashes that evil, and it is up to Nick, Jenny, and the rest of Prodigium to find out how to stop Ahmanet from succeeding with her plans to complete her ritual. We were fortunate enough to participate in a phone interview with Wallis prior to the film’s release, where she talked about what it was like to film with Tom Cruise, the physicality of the shoot, doing her own stunts, what monsters scared her as a kid, and more. Find out what she had to say here below. For New Girl star Jake Johnson, The Mummy was a way for him to expand his career into action films, though he still retains his small-screen witty and charming sense of humor. 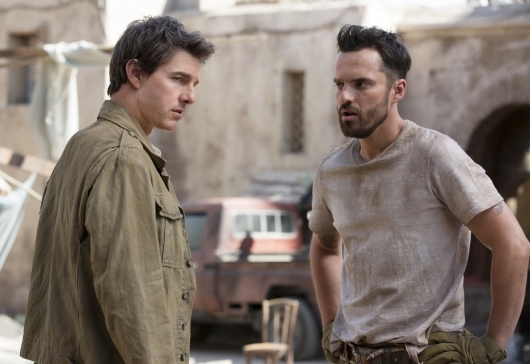 In Universal’s new reboot, the actor plays Vail, a soldier of fortune, who joins Tom Cruise’s Nick Morton on global quests to raid tombs and swipe treasures for profits. However, they come across one tomb they should have never unearthed, and without realizing it, they release a powerful evil bent on reclaiming what was once her’s. 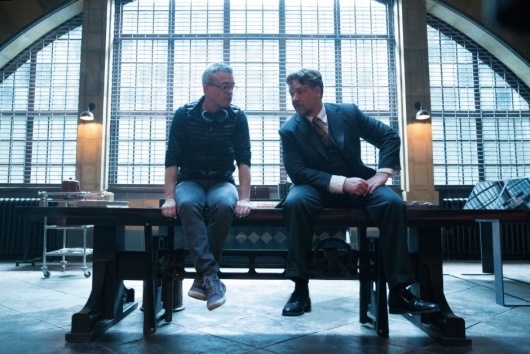 We were recently invited to participate in a phone interview with Johnson to talk about his experience on set of The Mummy, his training, doing his own stunts, and more. Check out what he had to say here below. The Mummy is the first film of Universal Pictures’ Dark Universe, a shared universe of rebooted versions of the studio’s classic monsters. 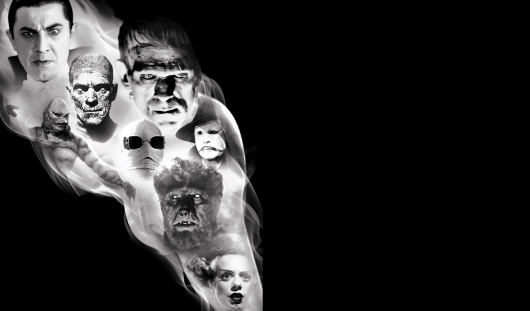 Though it still has a long way to go to be as prominent as the Marvel Cinematic Universe and the DC Extended Universe, the studio already has plans to expand their world of gods and monsters with new versions of Bride of Frankenstein, The Wolfman, Creature From The Black Lagoon, and Dracula. And much more to come. Directed by Alex Kurtzman, The Mummy follows Nick Morton (Tom Cruise) a modern-day treasure seeker who accidentally unearths a sarcophagus that was meant to seal away an ancient evil. Now that she is reawakened, she seeks to complete her malevolent ritual and terrors that will surely bring about the end of humankind. We were fortunate enough to participate in a phone conference with our fellow journalists to talk to Kurtzman about what it means to him to bring these classic monsters to the big screen once more, the future of the shared universe, and what makes these monsters resonate with today’s audiences. For more on this plus a little bit on what to expect from the Bride of Frankenstein, click below. If you’re a moviegoer in the year 2017, odds are you’re familiar with the concept of a “shared cinematic universe.” Whether it’s the Marvel Cinematic Universe’s The Avengers or the DC Extended Universe’s upcoming Justice League, we understand that these franchises are built on standalone stories set within the same continuity, leading to crossover events and team-up films. The idea of a shared cinematic universe came into being over 70 years ago with the emergence of Universal Monsters. Following their popular silent films, 1923’s The Hunchback of Notre Dame and 1925’s The Phantom of the Opera, Universal Studios began developing talkies based on other classic horror characters. 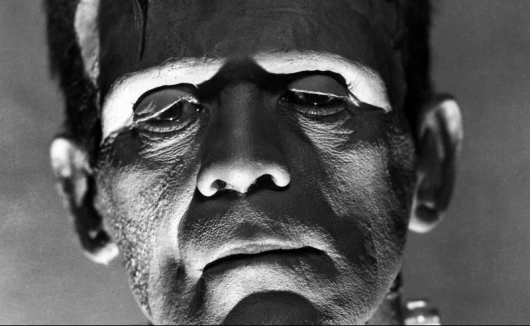 1931’s Dracula and Frankenstein got things started, followed by The Mummy (1932), The Invisible Man (1933), 1935’s Bride of Frankenstein, and The Wolf Man (1941).